Upon the occasion of Dylan’s being awarded the 2016 Nobel Prize in literature, this might well be worth another look. Free PDF and ePub versions are available, and you can buy a print version from Amazon.com. “Bob Dylan’s Career as a Blakean Visionary and Romantic” was completed in 1976 as an invited contribution to a volume of academic and scholarly essays on Dylan to be published by the Popular Press and edited by Patrick Morrow. 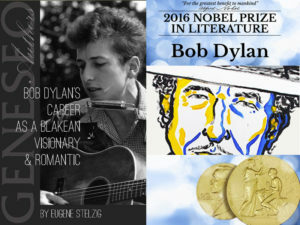 After the volume was accepted and the publication contract was signed, the Popular Press reneged on the agreement, apparently because it felt the volume would fall between the cracks: Dylan’s popular fan base would not be interested in a book of academic articles, and academics would not be interested in a pop culture idol. Obviously things have changed considerably in the intervening decades! This discussion—written almost four decades ago—of the deep affinities between Dylan’s song poetry and the Romantics, especially William Blake, is one of the early “scholarly” as opposed to popular appreciations of Dylan’s art and his oeuvre from his first album up to and including Desire (1976). We previously announced this publication in the Open Access resources via SUNY Open Textbooks. 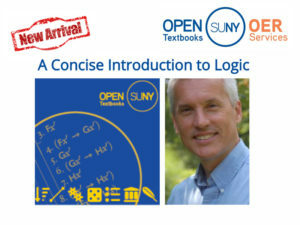 Open SUNY Textbooks: New Release! 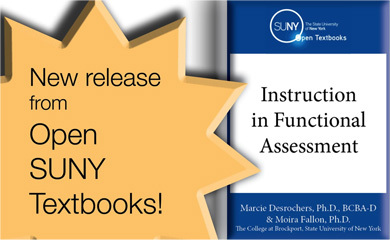 Instruction in Functional Assessment by Marcie Desrochers and Moira Fallon is the latest publication of Open SUNY Textbooks. Open textbooks help reduce the cost of textbooks and higher education, and Open SUNY Textbooks is an innovative program led by SUNY Libraries and Faculty. Instruction in Functional Assessment provides students and instructors a foundational understanding of functional assessment procedures. This text includes case studies, role-plays, and assignments to support hands-on application of the material, and resources for instructors in evaluating students’ performance. Available open & free on opensuny.org as an interactive PDF and EPUB ebook. Dr. Marcie Desrochers is an Associate Professor of Psychology at The College at Brockport, State University of New York. Desrochers has conducted research on teaching functional assessment and evaluating the effectiveness of a computer simulation program called Simulations in Developmental Disabilities. 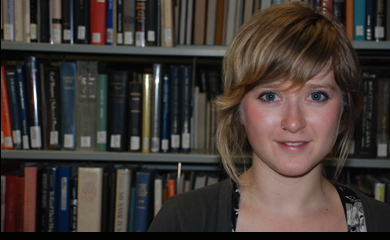 She also has extensive experience teaching undergraduate and graduate students, and supervising students and practitioners in the field. 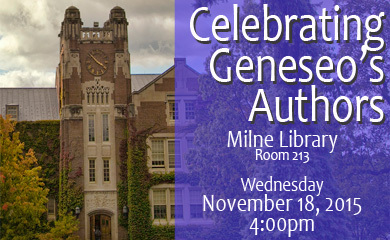 Dr. Moira Fallon is a Professor in the Department of Education and Human Development at The College at Brockport, State University of New York and has over thirty years of experience in the field of special education in public schools. She holds certifications from several states in learning disabilities, behavior disabilities, early intervention, and assistive technology. Dr. Fallon has published widely in issues of inclusion and advocacy for individuals with disabilities, and has been a leader in developing learning communities, promoting school leaders for continuous improvement, and identifying research-based, supportive resources for improving professional skills. 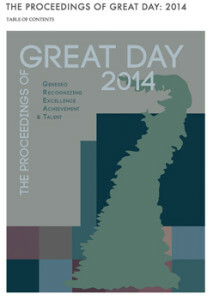 Milne Library is proud to support this new Open Textbook! 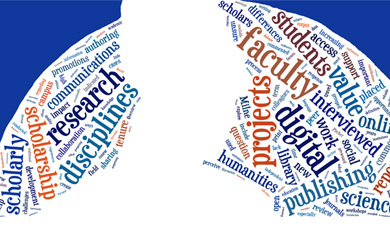 Be sure to check out the list of forthcoming titles scheduled for publication in 2015. 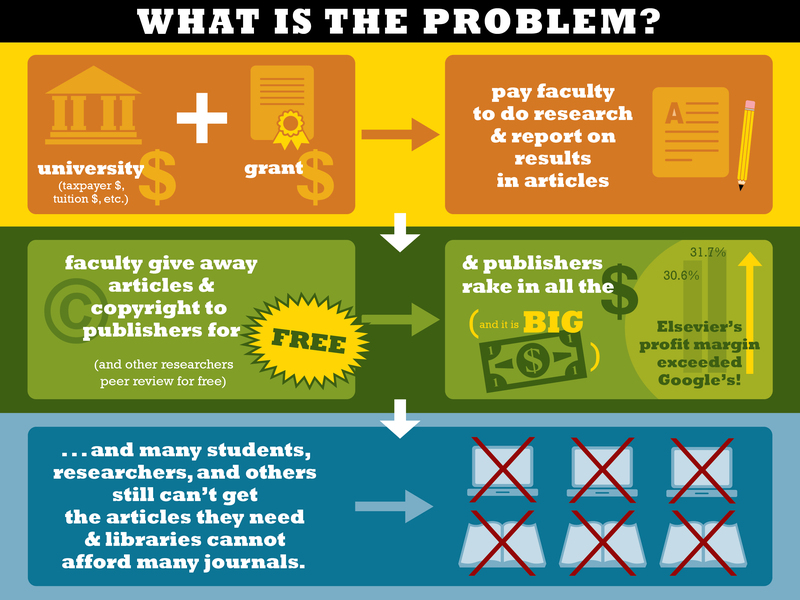 Students, ask your professor if they will consider adopting an open textbook!